More than 80 exhibitors will be displaying their promotional items at Markex 2017, which this year celebrates a significant milestone: 30 years of showcasing dedicated marketing strategy and creativity in South Africa. For the first time this year, Markex will also be co-located with Madex 2017, Africa’s only dedicated marketing show. This year’s event features a number of new exhibitors as well as some firm favourites from the past, including headline partner, Kevro, and supporting partners, Captivity Headwear and Abelanani. 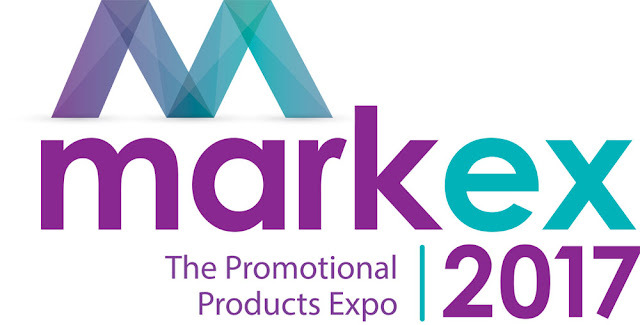 The targeted promotional products expo runs from Wednesday 7 to Thursday 8 June at the Sandton Convention Centre in Johannesburg, and is aimed specifically at resellers of promotional products and their corporate buyers. Abelanani (Stand A1, Reseller Zone), will be launching its 2017/2018 catalogue at this year’s show, unveiling a new product range that is 90 percent made in South Africa: excellent news for those who export goods to SADC countries because this implies lower taxes and duties, as well as BEE points for local clients. The Abelanani home grown range includes drawstring, shopper and conference bags; men and women's t-shirts and golf shirts custom-made with full colour branding on 100 percent of the garment; coolers and lunch bags; water bottles, notebooks, folders, and new types of lanyards, such as polytape, denim and cotton. Owing to its innovative branding methods, Abelanani is able to offer personalised branding on a range of its products. Abelanani guarantees that for products it manufactures in South Africa, clients will not pay less anywhere else. New to Markex this year is Earthangel Pewter Originals, which offers a range of exquisite items in the retail gift, homeware and corporate and promotional markets (stand E29 in the Markex General section). The Earthangel designs, which constantly evolve to meet changing market trends and requirements, offer such gifts as cruet sets, bowls, jars, cutlery and desk items. Jewellery designer and founder, Danya Goldberg, is equally at home designing contemporary as well as animal/ curio and classical ranges, and also offers custom-designed Earthangel corporate giftware according to the client’s unique specifications. The gift options come in solid pewter as well as combinations of pewter, glass and stainless steel. Each item is spun cast and thereafter polished with three different polishing processes, finally finished solely by hand to achieve a high quality texture and shine. Another new face to Markex, The Flop Factory (stand C27, Markex General), will be launching its high-quality flip flops made from recycled car tyres to corporate South Africa. These shoes literally reduce your carbon footprint as you walk, and are an ideal gift for environmentally conscious local businesses. Manufactured from virgin offcuts and globally sourced recycled materials (90 percent recycled synthetic materal and 10 percent natural rubber), the GRRITT range can be customised with a range of brightly coloured uppers and branding. If it’s promotional clothing you’re after, then look no further than Bertuzzi Distribution (Pty) Ltd (stand E9, Reseller Zone). As well as Fruit of the Loom Imprint clothing range, a brand known and loved all over the world, Bertuzzi was also recently awarded the distribution rights for the Gildan® Brand for southern Africa. Gildan® has been offering quality clothing since 1984. From a Canadian family business, it has grown to be one of the largest clothing manufacturers in the world, with an exceptional selection of t-shirts and polo shirts available in a range of fabrics, sizes and styles. In addition, Bertuzzi also offers Russell Europe garments, providing quality t-shirts, Softshells and Hydraplus rain jackets to the market, in a wide range of sizes. Can It is able to print or brand tins directly onto the tinplate, as well as provide embossing, debossing, vinyl and other branding options. Can It supplies both branded and unbranded cans and canisters. You decide what you want to put inside it – from chocolates or mints to ointment or lip balm - and Can It will give you packaging that will make a lasting impression and, moreover, that your clients will want to keep and re-use. For those in need of a truly wide range of unique promotional stationery, Gifts-Direct (stand D8, Reseller Zone) is sure to offer something to tickle the fancy. This Cape Town-based trade-only company is proud to be the first company world-wide to be awarded sole distributor status for all African territories of both UMA Pens as well as Capira, a Polish manufacturer of incredibly creative and unique desktop stationery. Gifts-Direct is proud to launch the UMA range of high quality German pens at this year’s Markex expo. UMA, a third-generation run company, is one of the biggest promotional pen manufacturers and suppliers in Europe. Now available on African shores for the first time, UMA’s fantastic range sports over 380 different pen styles in a vast array of trendy configurations, fashionable colours, textures and high quality materials. In addition, new branding techniques, which include 360° (wrap-around) laser engraving, full colour digital foil transfers and high definition digital printing, are now on offer, providing highly creative branding opportunities. UMA also caters for fast unbranded stock turnaround times, with a carbon neutral 6,000m² warehouse and state-of-the-art production facility in Germany and smooth, seamless transportation between this facility and its Cape Town-based head office. So if you want to find a corporate gift that leaves a lasting impression, find out more at this year’s Markex event – you can visit www.markex.co.za for more info. To register for free entry to the Markex general section of the hall, please visit the website. Trade visitors must pay R100 entry fee for access to the Markex reseller zone. Save R50 by registering online, and receiving the exclusive registration link from your supplier. Follow #Markex2017 on Facebook, Instagram and Twitter.